The Walt Theater has added a BONUS SHOW on Monday March 16th where 50% of ticket sales will go towards the New Haven Community Track Project. UNION, Mo. 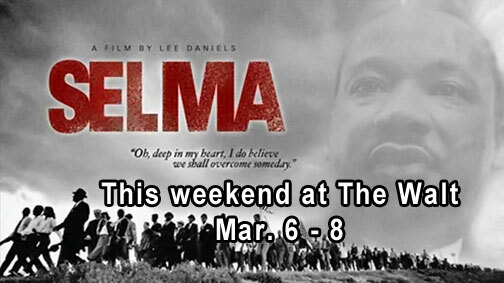 - Selma, a 2015 Academy Award nominee for best motion picture, will have four showings at the Walt Theatre in downtown New Haven March 6-8. Through the sponsorship of East Central College Student Media and Student Activities, high school and college students will be admitted at no charge to the 5 p.m. showing Sunday, March 8. NEW HAVEN, Mo. 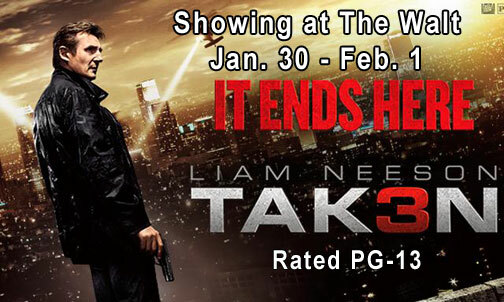 - Showing this weekend (Feb. 27 - Mar. 1) at the Walt Theater will be The Spongebob Movie: Sponge Out of Water (Rated PG 1hr 33min) starring Tom Kenny, Antonio Banderas, and Bill Fagerbakke. NEW HAVEN, Mo. - Showing this weekend at the Walt Theater (Rated PG 1hr 35min) is Paddington starring Hugh Bonneville, Sally Hawkins, and Julie Walters. NEW HAVEN, Mo. 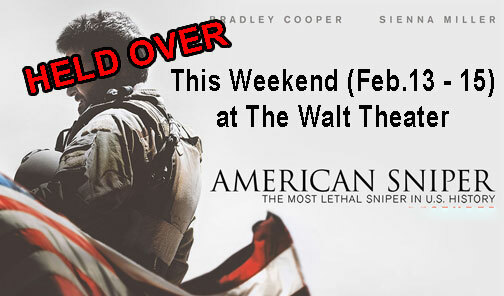 - After a sell out crowd on Saturday the number 1 one blockbuster hit of the year, American Sniper (Rated R 132 min) will be held over for this weekend at the Walt Theater this weekend (Feb. 13 - 15). PADDINGTON will open the following weekend on Feb 20. Based on a true story, Navy SEAL sniper Chris Kyle's pinpoint accuracy saves countless lives on the battlefield and turns him into a legend. NEW HAVEN, Mo. 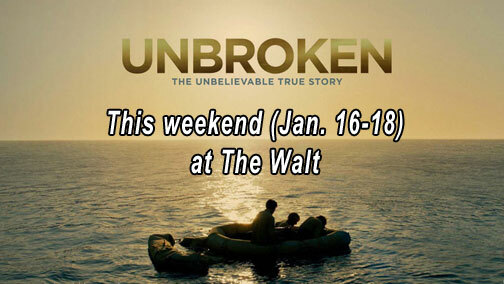 - Two blockbuster hits upcoming at the Walt Theater starting with Taken 3 (PG-13 - 1hr 52 min) this weekend (Jan. 30 - Feb.1) followed by the top movie of the year American Sniper (Rated R) coming to the Walt Feb. 6.